Date-night “in” is hallowed ground in our home. It’s intentional time spent with my most-loved one where our evening is slow and filled with ridiculously good food, refreshing conversation, boisterous laughter and quality wine. An important ingredient to a successful evening “in” is the kitchen. It is not just about the cooking in this room it’s also about the ambiance. A bottle of quality wine and good music make this room warm and inviting. My husband and I have been cooking together since our early twenties and find unparalleled joy in this time spent together. We have found that delicious food, excellent drinks and enjoyable music create a slow and thoughtful dinner at home. One detail that “makes” these evenings are that my husband and I share similar tastes, especially an affection for full-bodied red wine—in particular, Napa Valley Cabernet. The depth of flavors found in each sip of a Napa Valley Cabernet is unmatched. We have also found that big Cabs pairs beautifully with the ingredients we like to cook with and eat. We have been fine-tuning date-night “in” for 15 years but for the past 8 ½ there has been another element involved: children. Logistics have become another important element to pull-off a successful date-night. The logistical problem is always bedtime, but after 8 ½ years our tactical strategy has resulted in great success. First, exhaust the children during the day. I’m talking early wake-time, multiple activities (it’s always a plus if a soccer game occurs on this day), no tv and a good bike ride at the end of the day to wrap up everything nicely. One hour before “date-night” begins the bottle of wine is opened. We take this hour to get our exhausted children asleep. While we wait for sleep to take hold my husband and I slowly sip on a glass of Napa Valley wine. 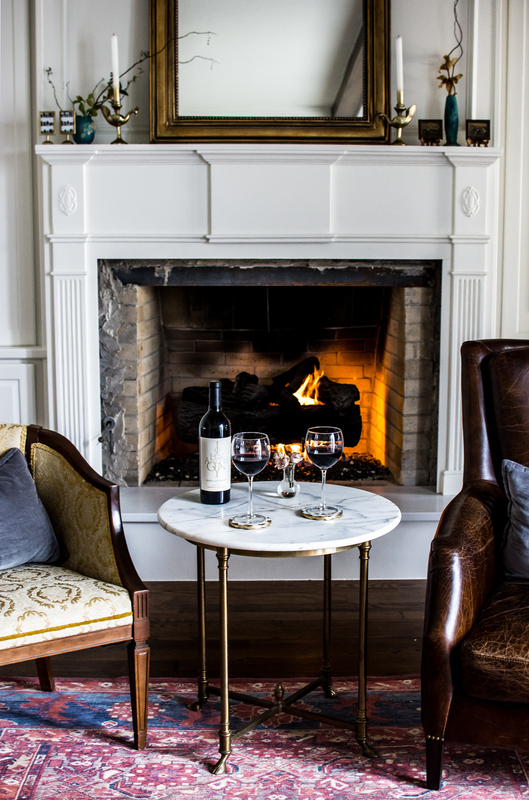 Since its winter and Cab season (which is our favorite season) we either sit outdoors warmed by the heat of grill or indoors by the fire in the fireplace. The big tannic Cab warms us and our conversation. The tone is now set for the evening. Once the children’s sleep is confirmed we turn on the music in the kitchen and dinner begins. Pizza is one of our go-to date-night “in” meals. Cooking responsibilities are easily split—one manages the toppings, the other handles the dough and sauce. This cooking strategy works great with this Wild Mushroom White Pizza. 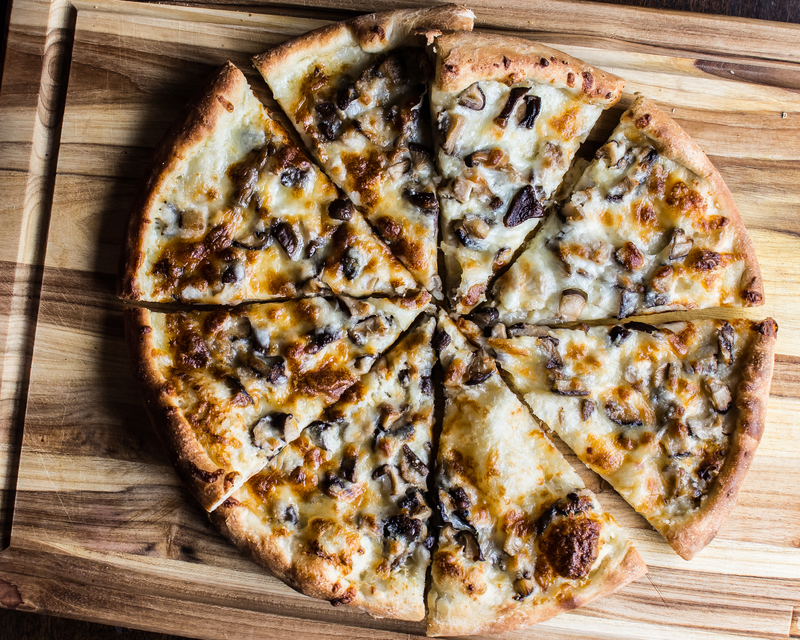 A Cabernet from Napa Valley pairs brilliantly with the rich mushrooms, cream, cheese and bread of this pizza. 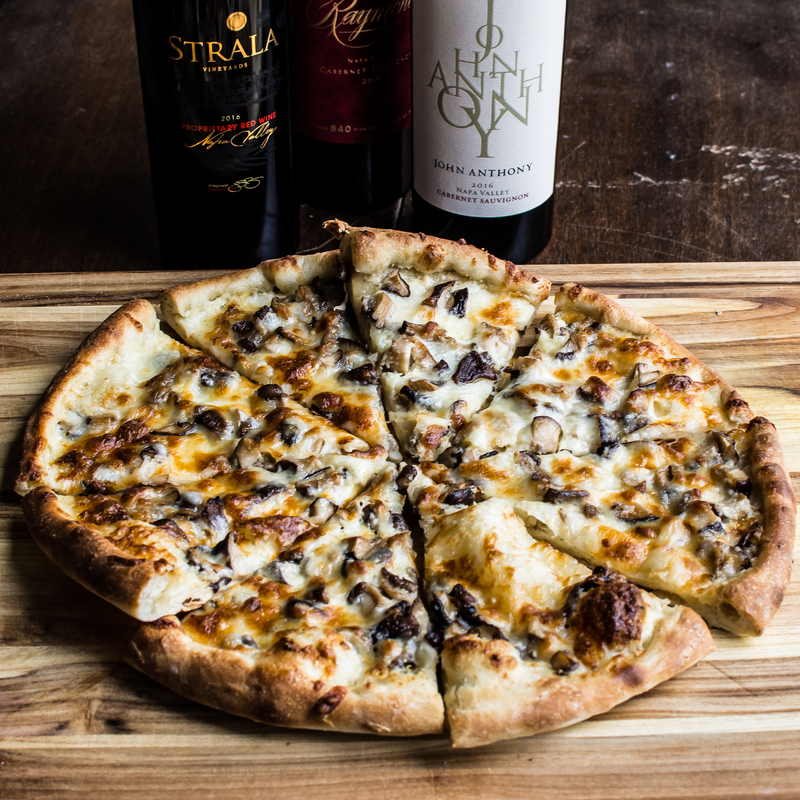 It’s the perfect date-night “in”: pizza and wine. Heat the oven to 550 degrees. Melt 2 tablespoons of butter in a medium-sized skillet. Add the garlic cloves and ginger pieces to the pan once the butter is melted. Place half of the mushrooms into the skillet. Sauté for 5 minutes over medium heat. Push the softened mushrooms to the perimeter of the skillet. Melt the remaining 1 tablespoon of butter in the center of the skillet. Add the remaining 3 cups of mushrooms. Cook for an additional 5-7 minutes, or until the mushrooms are soft, slightly browned and sticking to the bottom of the pan. Stir occasionally. Deglaze the pan with the wine. Increase the heat to medium-high and simmer for 3-5 minutes or until the liquid is absorbed. Remove from the heat. Remove the ginger and garlic. Roll out the dough on a floured surface and place on your preferred baking equipment. In a food processor, puree cream, vinegar, shallots and red pepper flakes until the cream is thickened and slightly fluffy. 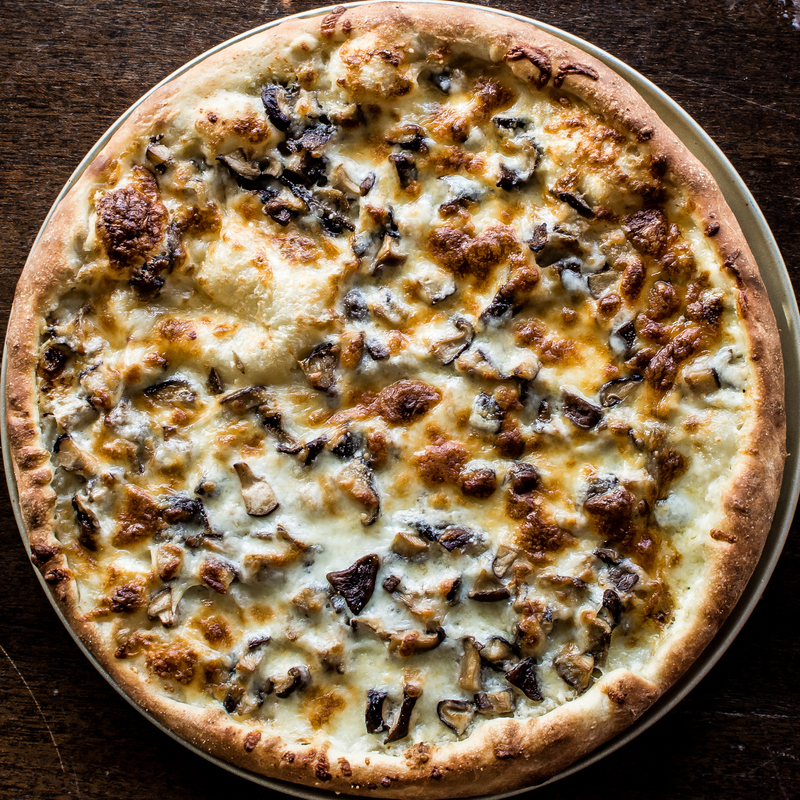 Top the dough with the white sauce and sautéed mushrooms, parmesan, mozzarella. Bake for 10-12 minutes or until the dough and cheese are golden brown. Remove from the heat and let cool 5 minutes. Cut and serve immediately. Disclosure: This is a sponsored post on behalf of Napa Valley Vintners. All opinions are my own. Author note: This recipe was also featured in The Dallas Morning News. 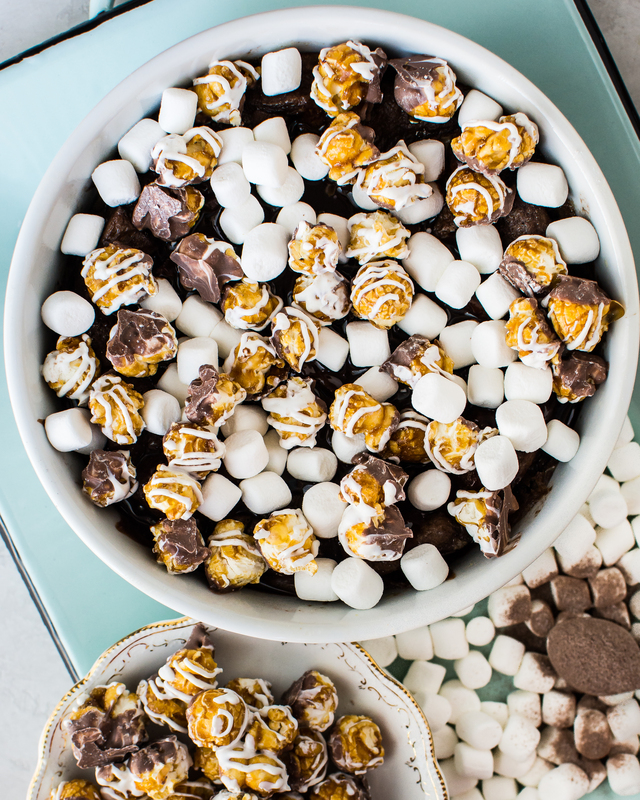 Click here for the story and recipe. Place the pork, sesame oil, ground ginger, vinegar, gochujang paste, soy sauce, bok choy ends, onion and shiitake mushrooms into a large bowl and thoroughly mix. Place the vegetable oil into a large skillet. Warm over medium-high heat. Add the pork mixture into the skillet and cook for 15 minutes, or until the pork is fully cooked and the sauce is thickened. Remove from heat and let cool for 10 minutes. Place in bok choy leaves, top with cilantro, chili garlic sauce and squeezes of fresh lime. 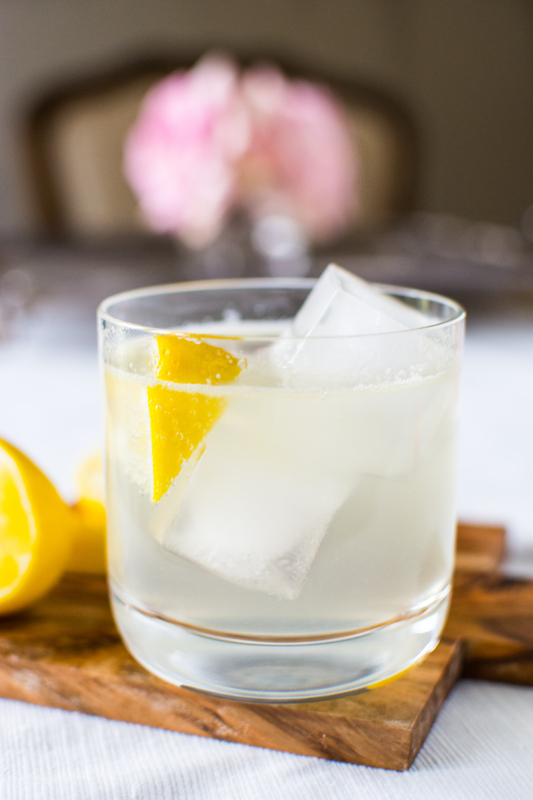 Place the lemon juice and simple syrup into a glass. Top with club soda and gently stir. Serve chilled, with or without ice. Gray skies, cold breezes and long nights are my jam. Needless to say I thrive in the winter. It’s not just the environmental elements that invigorate me during this time of the year. It’s how I “dress up” these long nights that I love: warm food, full bodied wines and conversations that linger well after dinner. 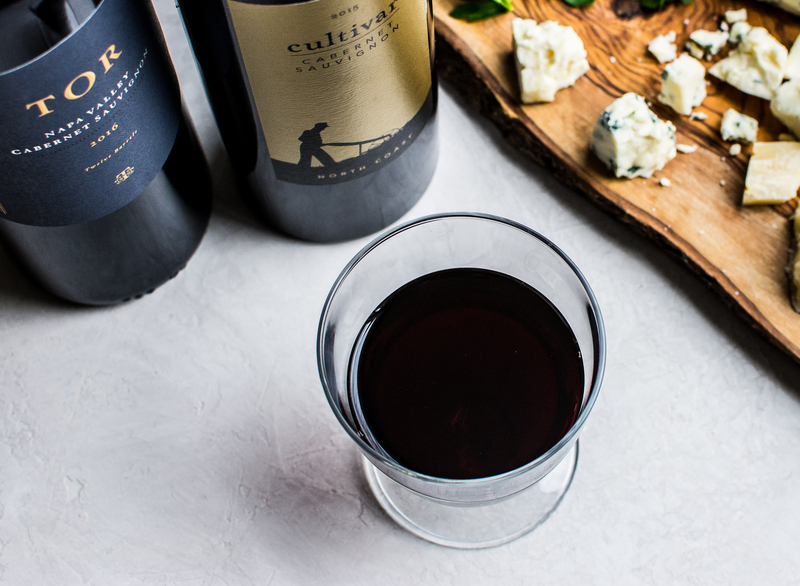 Colder months and Cabernet go hand-in-hand. 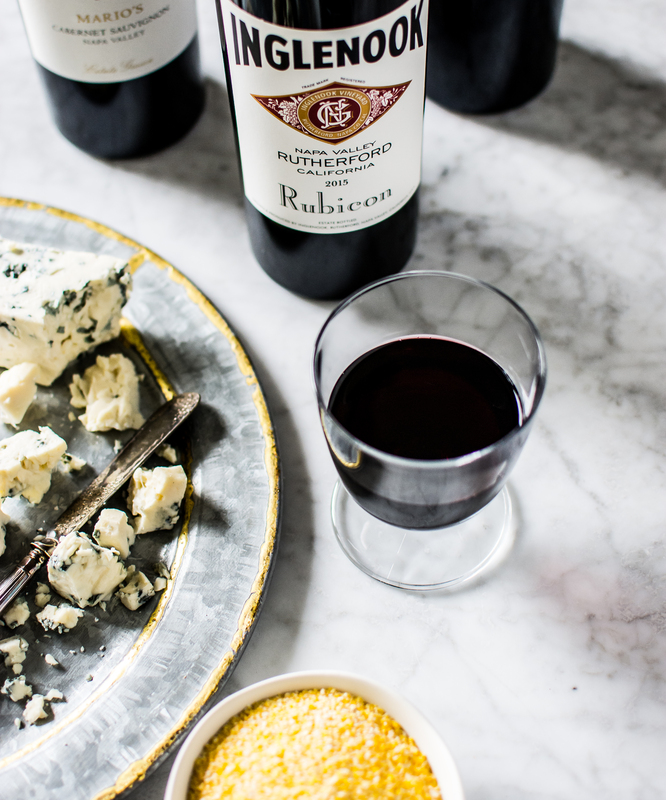 This bold tannic red stands up with the warm, rich dinners that we are all craving (and cooking) during this season. When I am searching for the perfect bottle to pair with a robust, comforting meal during the winter (and while I cook!) — I go for a Cabernet from Napa Valley. 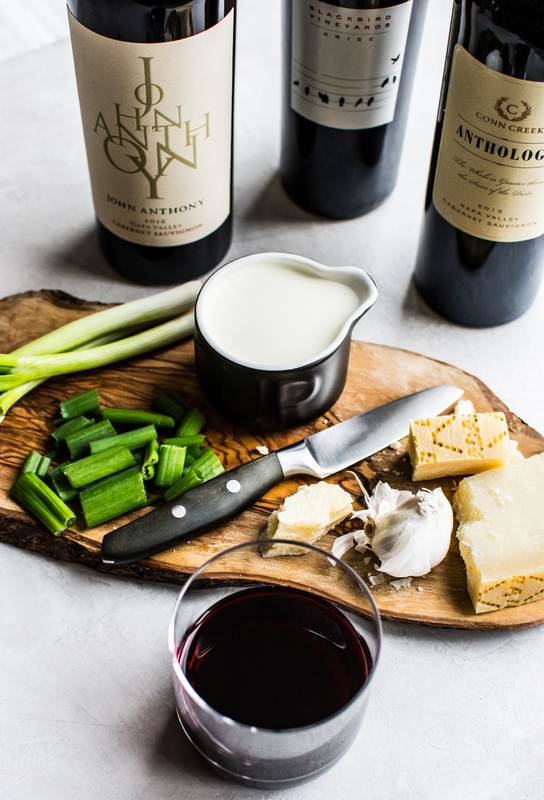 Cabernet Sauvignon wines are classic favorites—especially those from Napa Valley. The Cabs from Napa Valley are unique due to the Napa Valley’s climate and soil. These Cabernets offer a well-rounded and refined taste like no other New World variety. Needless to say, I am a Napa Valley Cabernet fan. One of my goals this year is to incorporate more slow meals into our routine. My son calls it “fancy family,” but I call it something else— bliss. Our most recent family dinner was on a cold dark night. We lit candles, set the table to the nines and opened a bottle of Napa Valley Cabernet. 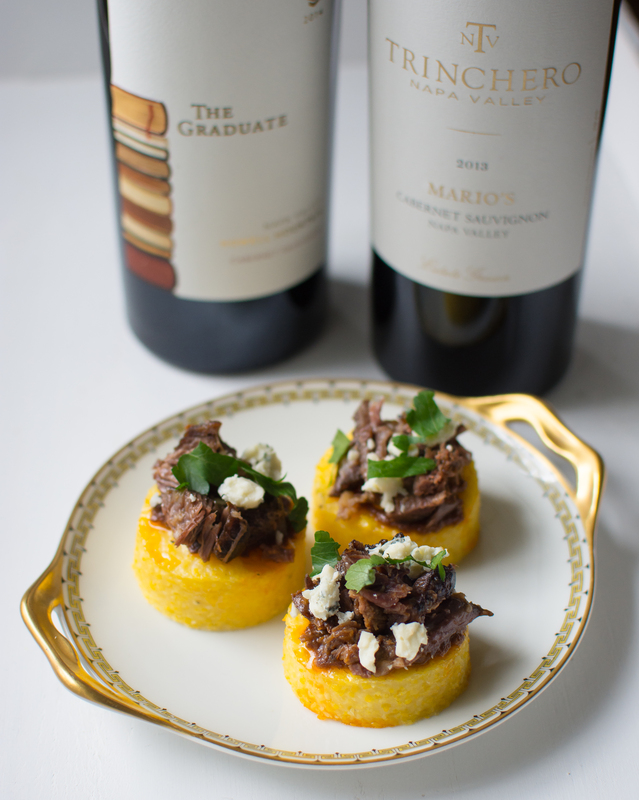 This blustery evening was perfectly matched for Red Wine Braised Short Ribs with Gorgonzola Polenta Medallions that was paired with a bold, full-bodied Cabernet. During these types of dinners, we give ourselves permission to go slow which opens the door to conversation and appreciation of everything that makes up the meal. It’s not just what is on our plates that makes the dinner memorable, it’s what happens around the table that makes these long evenings so worthwhile. Cabernet for the adults and Shirley Temples for the children, we toasted our dinner before we tucked into a plateful of goodness. 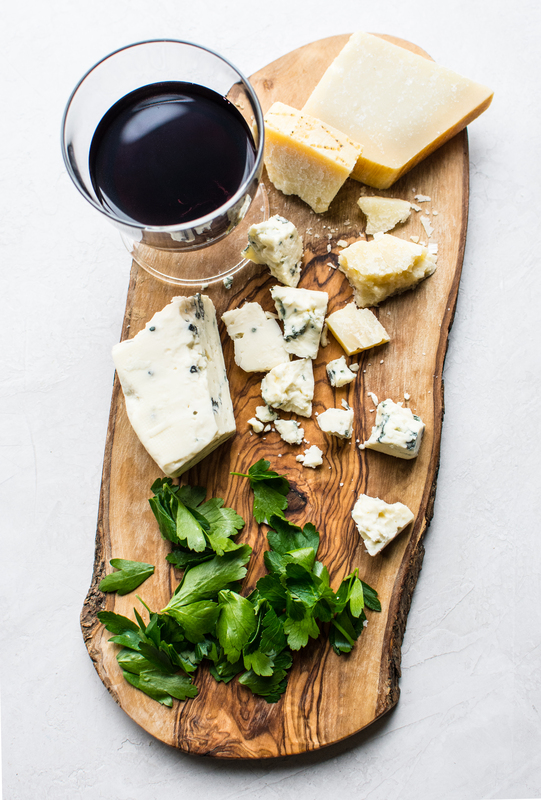 A comforting meal paired with a big Cab has a warming effect; the night becomes brighter—complete with full bellies and lively conversation. Our dinner lasted for 2 hours that evening. As I cleared away the dishes, I noticed two things that brought me deep satisfaction. Not only would there be plenty of leftovers for short rib sandwiches the next day, but also, most importantly, there were content smiles on my loved ones’ faces. I knew the evening was a success. It was then that I noted, cold weather season may be Cab Season, but “Fancy Family” season is year-round. Author note: If time is limited or you prefer not to bake the polenta that is okay. Once the polenta has finished cooking, remove from the cooktop. Add 2 tablespoons of unsalted butter and 1/2 cup crumbled gorgonzola. Stir well to combine. Spoon into warm bowls and top with the short ribs and pan sauce. If you prefer an extra crispy medallion, broil until browned instead of baked. 30 minutes before cooking, remove the meat from the fridge. With 2 teaspoons of salt, evenly season the short ribs on all sides. In a large Dutch oven, heat the oil over high on the stove top. Once hot, add the short ribs and brown for 2-3 minutes per side, for a total of 4-6 minutes, and set aside. This should be done in 2 batches. Add the Dutch oven back to the stove top. Add the wine and deglaze the pan. Once the brown bits are scraped from the pan, add dijon, worcestershire, bay leaves and the remaining 1/2 teaspoon of salt. Mix well. Place the short ribs back into the Dutch oven. Add more wine if needed to submerge the short ribs halfway. Bring the liquid to a boil, cover the Dutch oven, and place it in the oven. Cook for 2 ½ to 3 hours, or until the short ribs are tender. Remove from the Dutch oven and place onto a cutting board. Cover with foil. Let rest for 10 minutes. Place the pan back onto the cooktop. Bring the remaining liquid to a simmer. Whisk in the flour and let simmer for 5 minutes, or until thickened. Remove the meat from the bone. Shred or chop the short ribs. 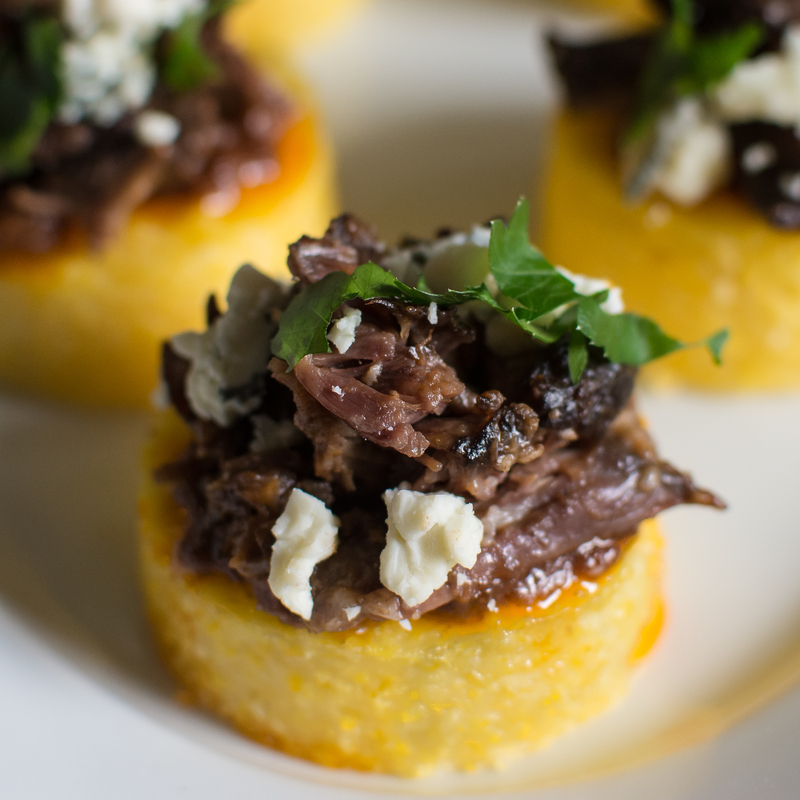 Place a spoonful of pan sauce onto the polenta crisps, then add the short ribs. Top with gorgonzola and chopped parsley. 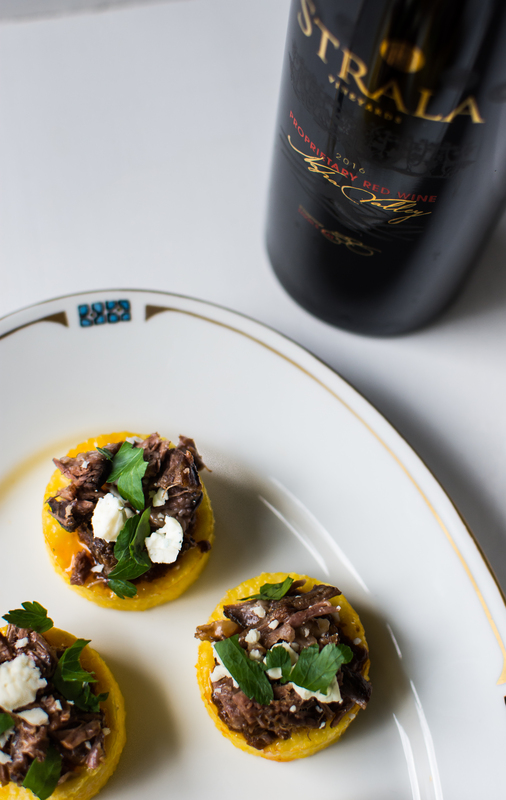 Author note: It takes several hours for the polenta to “set.” I typically make the polenta the day before service and keep covered and chilled in the fridge overnight or up to 48 hours. Bring the water to a boil. Add salt. In small batches and in a fine stream add the polenta to the boiling water, whisking constantly. Once all the polenta is added, stir the polenta with a wooden spoon for 2 minutes adjusting the boil to a simmer by reducing the heat to low. Once a constant simmer is maintained, cover the pan and cook for 10 minutes. After 10 minutes, stir the polenta. Cover the pan and cook for another 10 minutes. Repeat this process two more times for a total of 40 minutes. After 40 minutes, remove the lid. Continue to cook the polenta over low heat. Stir the last 1 minute of cooking. Pour the polenta onto a parchment lined rimmed sheet pan (10×15). Smooth the top of the polenta with a silicon spatula, cover and place into the fridge for 4 hours, or until set. Heat the oven to 450 degrees. Cut out rounds of polenta using a round pastry cutter. (If you don’t have a a pastry cutter or cookie cutter, a ball jar lid works) Place the rounds onto a parchment lined baking sheet. Place into the oven and cook for 10-15 minutes, or until a light brown crust has formed. Remove from the oven. 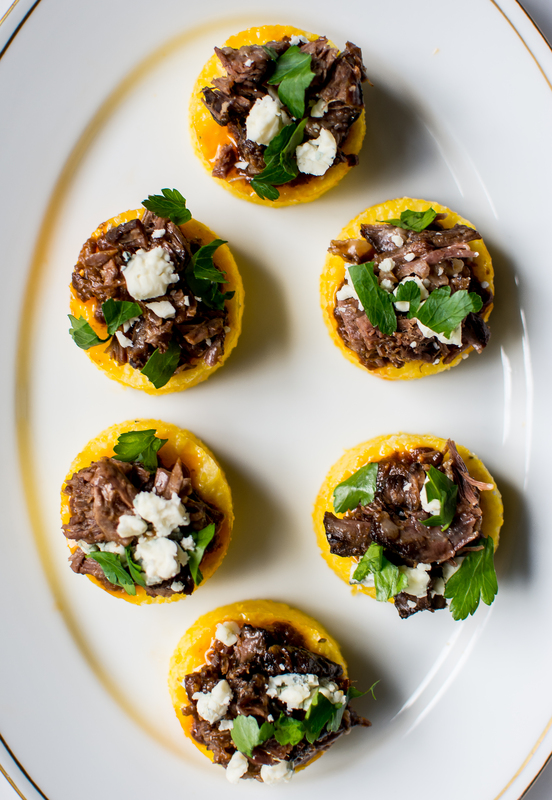 Top with red wine braised short ribs, gorgonzola and chopped parsley. Author note: The marinade used for the shrimp also works well with chicken. Use caution when frying with oil. Use a thermometer to make sure the temperature of the oil is not too hot. The amount of tortillas used is dependent upon how many people you plan to feed. In a large bowl add the dijon, mayonnaise, salt, garlic powder, chili powder and cumin. Mix well. Add the shrimp and stir well to coat. Cover and place in the fridge up to eight hours before cook time. Place 1/4 cup canola oil into a medium-sized skillet. Bring to 350 degrees over medium heat. Use a thermometer to accurately measure the temperature of the oil. When the oil has reached the appropriate temperature, place one to two tortillas into the oil. Cook for 30 seconds to 1 minute per side. Flip and repeat on the other side of the tortilla. 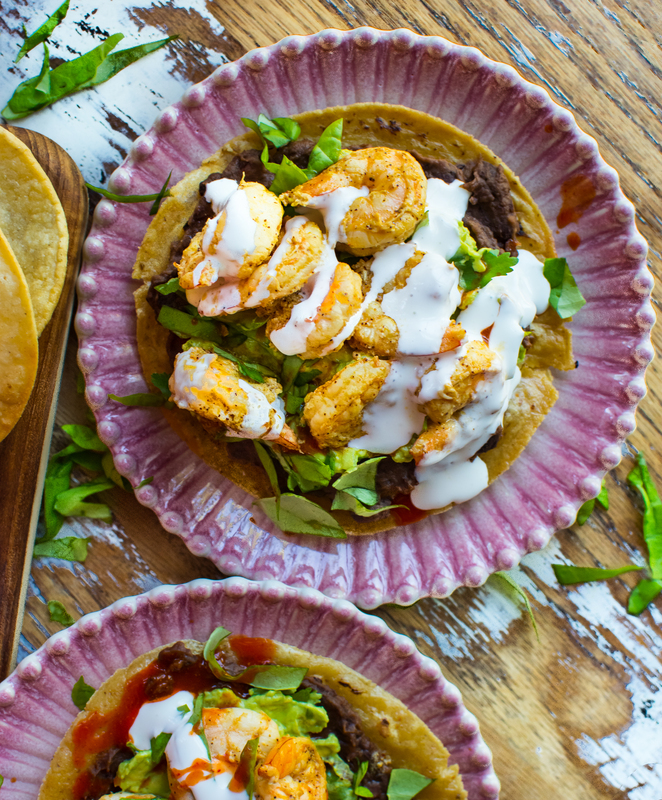 Place the crisp and golden tortillas onto a paper towel-lined plate. Continue until all tortillas are fried. Meanwhile, add 2 tablespoons of canola oil into a skillet and cook over medium-high heat. Add the shrimp into the skillet and cook for about 4-6 minutes, flipping once, until the shrimp is cooked all the way through. On the fried tortilla add a layer of beans and avocado crema. Top with shrimp and then your favorite toppings. Serve immediately. There’s nothing like a bowl of chili to make the day right. However, when I am craving chili the most, it’s normally one of those busy days (which is probably WHY I’m craving comfort food) which tends to keep me from making the giant bowl of comfort… I mean chili. <sigh> That’s not the case now though, thanks to the Instant Pot (electric pressure cooker) and Market Street’s STREETside. Even on my busiest days I can still easily get groceries AND cook a flavorful, comforting chili (that seems like it has been simmering all day). 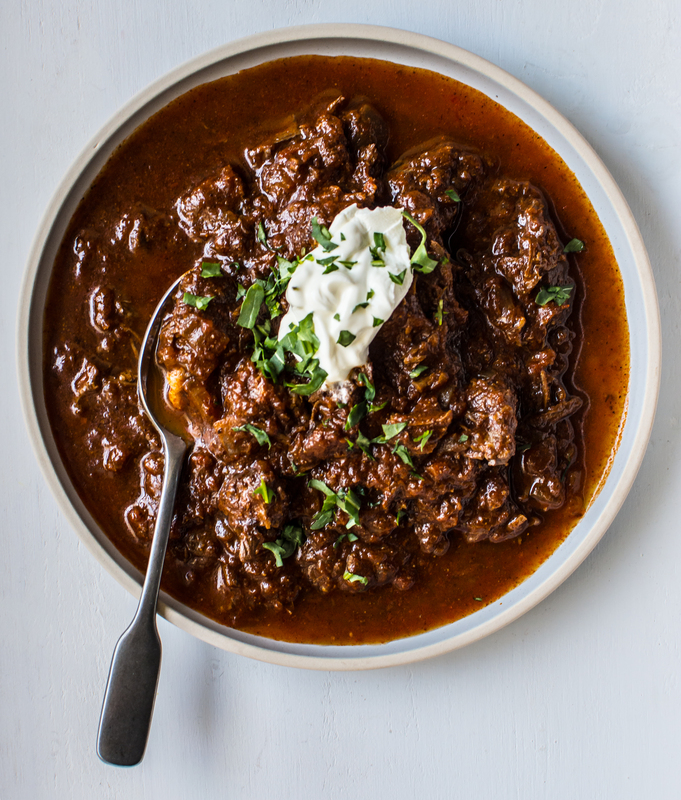 Here are the deets on the Instant Pot Short Rib Chili. While this recipe does need one hour of “cook” time, all you’re really doing is chopping an onion and searing some short ribs. That my friends is a glorious weeknight meal. If you’re anything like me, you’ll be sipping on a glass of prosecco (because prosecco + chili = great pairing) while waiting for dinner to be ready. Another helpful aspect of this weeknight meal plan is that when you’re super busy (raise your hand if you’re super busy— yep, just what I thought…EVERYONE) all it takes is a quick online grocery trip to Market Street’s STREETside to grab all the required ingredients. 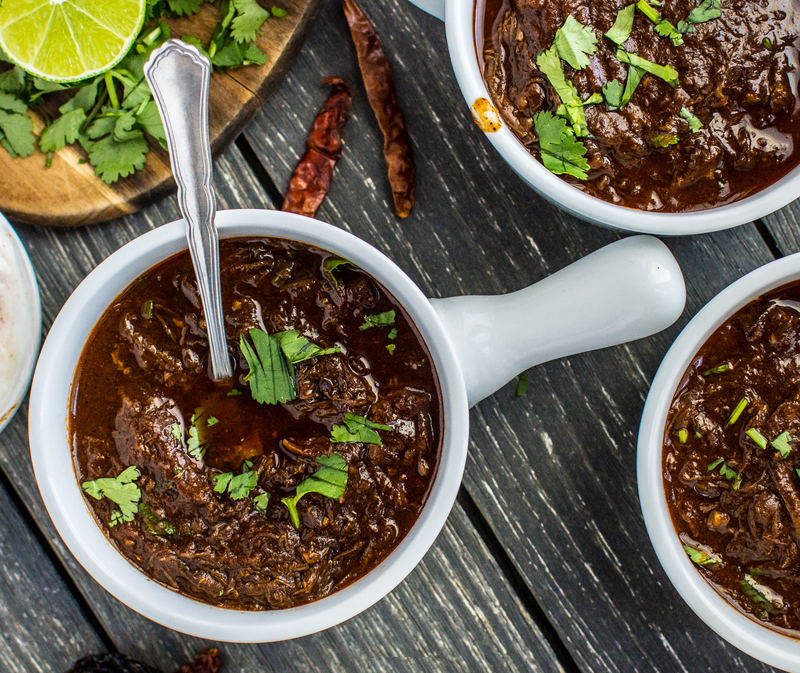 This super easy shopping experience will make your weeknight chili dreams come true. Market Street is on our dinner team; so much so that they want to not only provide delicious ingredients for your kitchen, but they also want to GIVE you an Instant Pot. Yep. You heard me, correctly. There is an Instant Pot giveaway starting today (February 25, 2019) on the Market Street Facebook page. Intrigued, right? To enter, follow A Pleasant Little Kitchen on Facebook (click here for link). Once you’ve done that head to the Market Street Facebook page (click here for link) follow their further instructions. One hungry, lucky winner will be selected on Saturday, March 2nd. How fun is that?! Plus, Market Street will be showing you all week long how to love your Instant Pot by showcasing new Instant Pot recipes developed by yours truly. 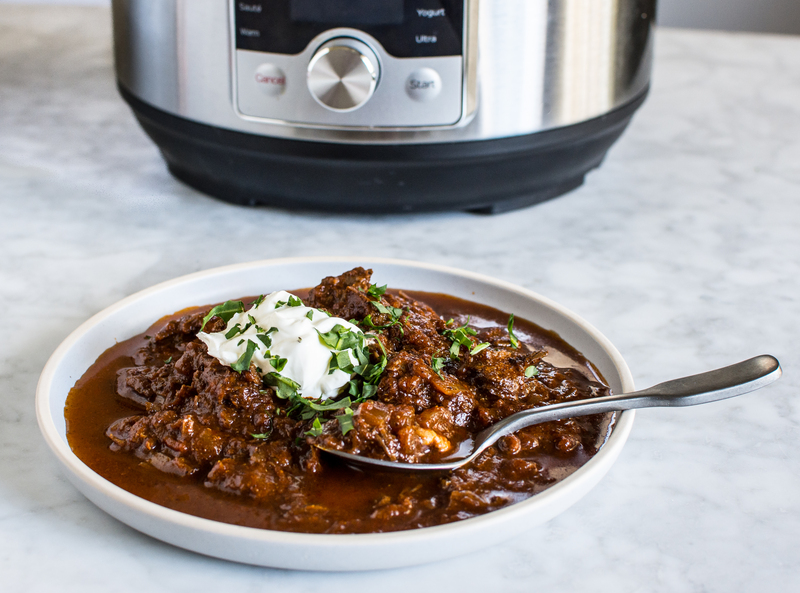 So seriously– all your weeknight chili dreams are coming true this week thanks to Market Street, A Pleasant Little Kitchen AND the Instant Pot. Happy cooking and good luck! 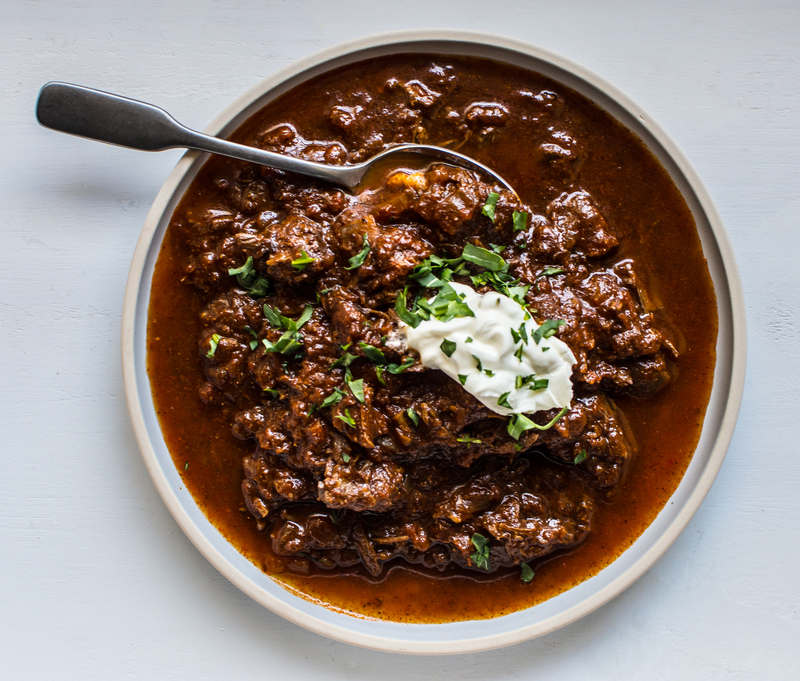 Author note: This authentic Texas style chili is full of flavor, heat and meat. 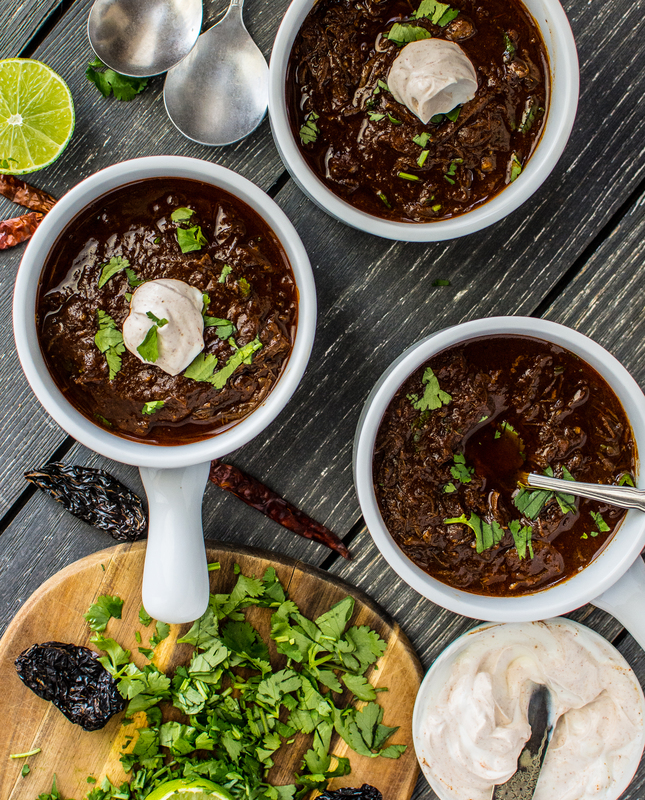 Browned short ribs, tomato paste and a lager beer make this chili rich and hearty. When using the sauté feature, I like to set the timer for more than the amount of time it should take to cook the ingredients. This will ensure that the Instant Pot stays in sauté mode the entire time. 30 minutes before cook time, evenly distribute 1 teaspoon of salt on the short ribs. Set aside. Add the canola oil into the Instant Pot. Using the sauté feature on the Instant Pot, set the sauté timer for 25 minutes. After two minutes of heat-up time, place 1 pound of the short ribs into the Instant Pot. Brown for 1 1/2 minutes per side, for a total of three minutes. Set aside. Continue this process until all the short ribs have been browned. If any browning occurs add a few splashes of beer to deglaze the pan. Add the onions and tomato paste stir well to combine. Brown for 1 1/2 minutes. Stir frequently to prevent burning. Deglaze the pan with the beer. Be sure to scrape up all of the brown bits on the bottom of the pan. Add the crushed tomatoes, beef stock, 1 teaspoon salt, granulated garlic, oregano, ground cloves, cumin and chili powder. Stir well. Add the short ribs and any remaining juices from the short ribs into the chili mixture. Place the lid on the Instant Pot and cook on the chili feature for 30 minutes. After 30 minutes, use the natural pressure release method for 10 minutes. After 10 minutes, release any remaining pressure. Remove the short ribs from the Instant Pot and place on a rimmed cutting board. Cover the meat with foil and let rest for 10 minutes. Meanwhile, bring the chili to a boil using the sauté feature. Simmer for 10 minutes while the short ribs are resting. After 10 minutes, shred the short ribs and add the vinegar and shredded short ribs to the chili. Stir well to combine. Serve warm with cilantro and sour cream.